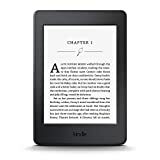 Amazon has the Kindle Paperwhite E-reader, 6" high-Resolution Display (300 ppi) with built-in light, Wi-Fi - includes Special offers for $119 with free shipping. Sells for $119+ Highest Price. Deals for $99 Lowest Price. Normally $111+.